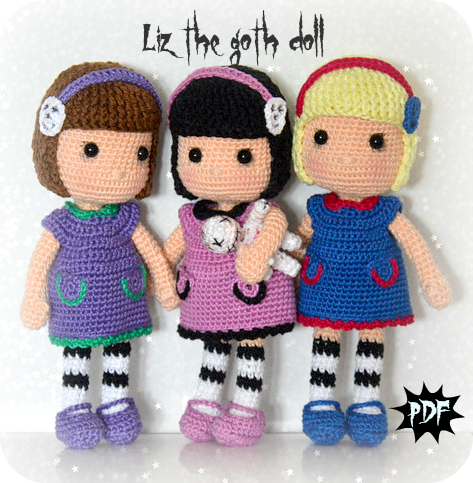 I would like you to meet these lovely and colorful Lana dolls. Created this pattern two weeks ago as addition to one book on small crochet toys and dolls (that I will talk about some time in the future). This is one of two patterns I made for this book. The second pattern will show and share with you soon, and both will be available only through the shop. So far you can find it in my Etsy shop. doll which can change her clothes/shoes…. So far, both of my nieces, 4 and 7 years of age love it. Hope your little ones will feel the same! Before I finish for today, wanted to mention that Flip from Maya the Bee movie is progressing pretty nice. So far missing only the hat to finish the pattern. If times allows me, he might be finished and pattern shared next week. Fingers crossed! Here is little preview on how the Flip looks so far. Have a wonderful day and happy working Monday tomorrow. I must say that this is my favorite doll and pattern I worked on so far. This doll is just a treasure. She is soft and so darling. The size I reached by this one (30 cm -12 inches) is little bit bigger than the rest of my dolls but that makes her even more beautiful. I know many of you will give it a try. Specially moms and grandmothers who grew up with one of these jersey sewed dolls with yarn hair. 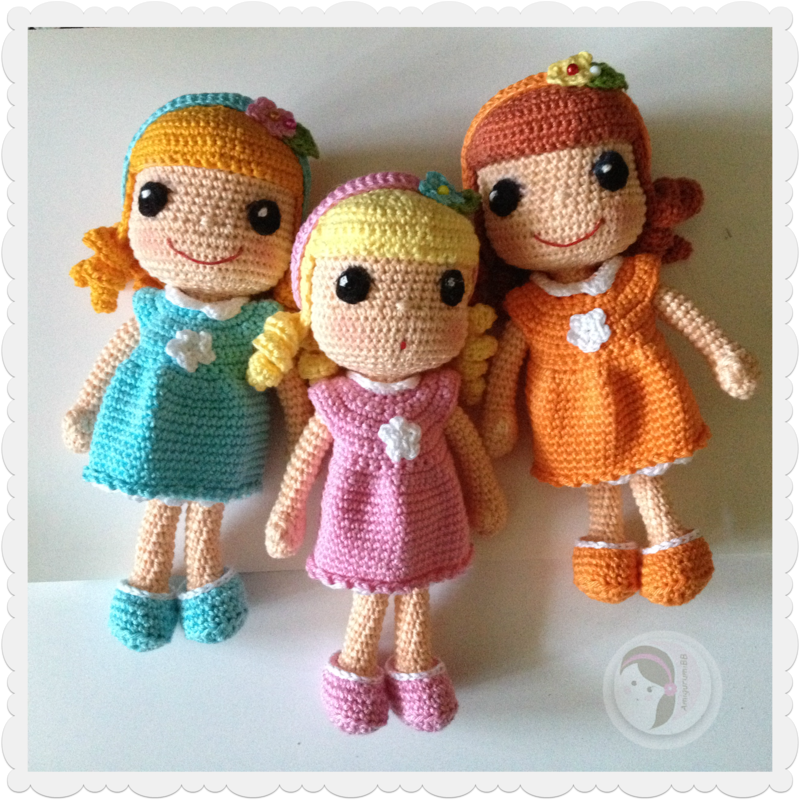 Here is your chance to refresh your childhood memories and opportunity to crochet one Waldorf inspired doll for your daughters, granddaughters or even for yourself. Isn’t she just lovely? Both are 😀 I really enjoy these dolls and hope you will too. Wishing you all wonderful end of the week and relaxing weekend to come.